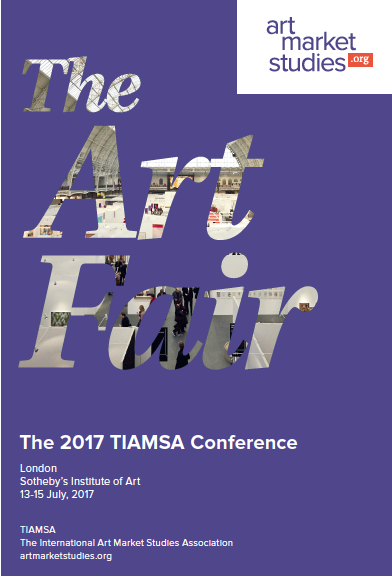 Helene Bosecker’s review of TIAMSA’s first conference on ‘The Art Fair’ is now available in our Members Only section. The conversation co-organized by TIAMSA and Art Basel in June was the subject of an extensive, very positive newspaper article in the Milanese daily “Il Sole 24 Ore”, written by Silvia Simoncelli (25 June 2017, no. 768, p. 20). The article is available for TIAMSA members in the Members Only area of our website. If you are a TIAMSA member, please log in. Not a TIAMSA member yet? Have a look at our benefits and become a member here. Here we attach the abstracts to the talks of the upcoming event. We look forward to welcoming our speakers and participants to this exciting programme, focusing on art fairs from 16th-century panden via the creation of documenta to Art Basel now. 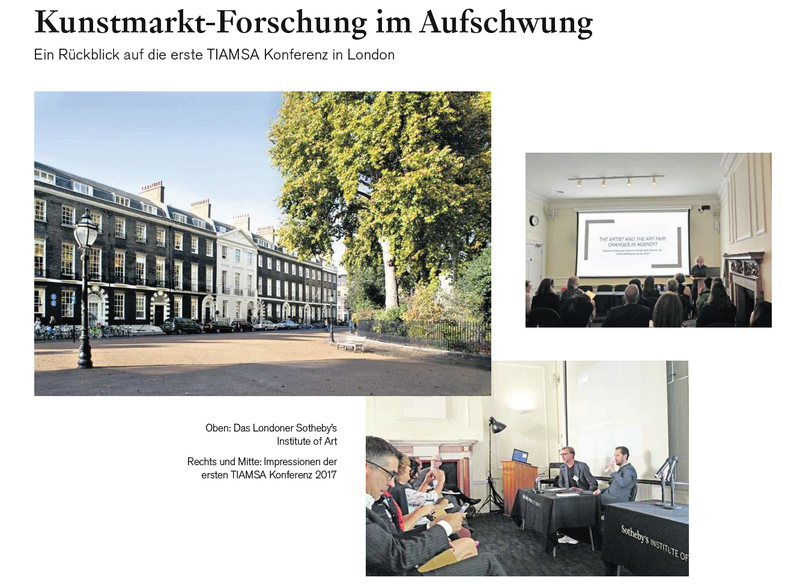 Christine Howald and Anne Luther generously hosted the successful launch of TIAMSA’s Berlin sub-committee, an event attended by a dozen local TIAMSA members who engaged in a lively conversation on a range of future activities and the state of art market studies in Berlin and internationally. The next meeting will be in September (date tbc) with a trip to the private archive of Gerd Harry Lybke, gallery owner of Galerie Eigen + Art.